Wrexham Central, old and new. The old Wrexham Central station seen on 29 February 1993. In the background may be seen Wrexham parish church - one of the "seven wonders of Wales". This station was originally a joint station with the Cambrian and later Great Western railways for the service to Ellesmere, which closed in 1962. The only "amenity" at this, by now, very basic unstaffed station was a brick built hut. However its saving grace was that it was very convenient for the town centre. 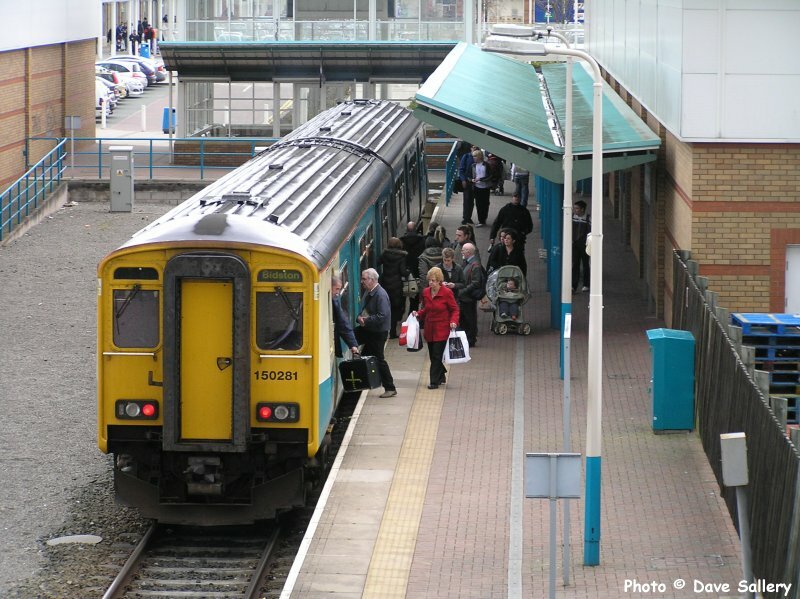 This station was closed during 1998 when the new Wrexham Central opened for business. The ability to carry prams and pushchairs accounts for much of the lines popularity. 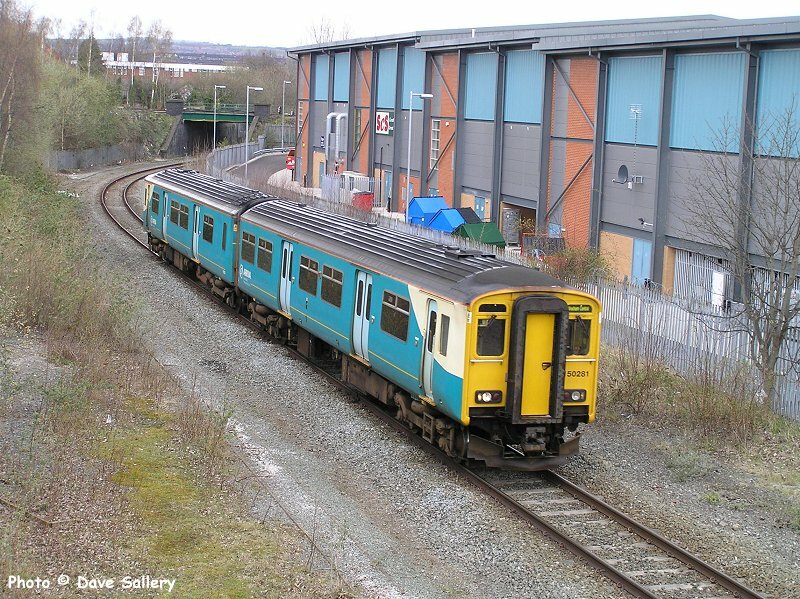 Looking in the opposite direction a Class 142 Pacer unit approaches from Wrexham General on a working from Bidston. The new station is situated just on this side of the road bridge in the background. Behind on the right may be seen the now demolished Wrexham Lager Brewery, once the home of Wrexham Lager. The brewery closed in April 2000. Wrexham had a long tradition of brewing with as many as five breweries active in the town at one time. This was the last to survive. 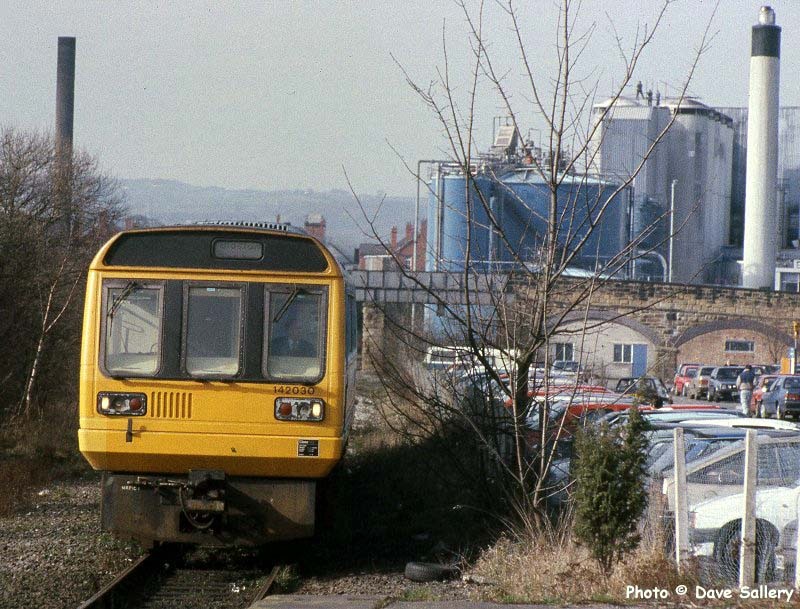 The Class 142 units first appeared on the line in 1985, because of their ride quality on jointed track they were not well received. 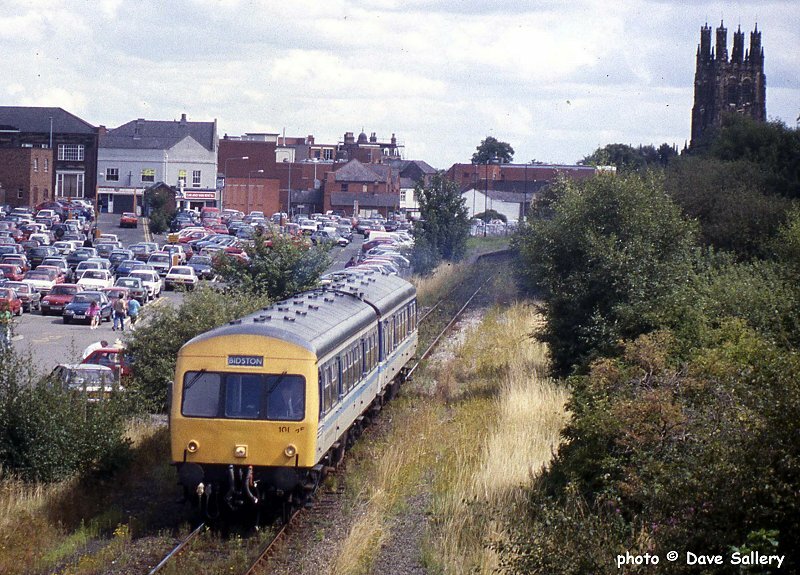 A class 101 leaves Wrexham Central just before closure in 1998. 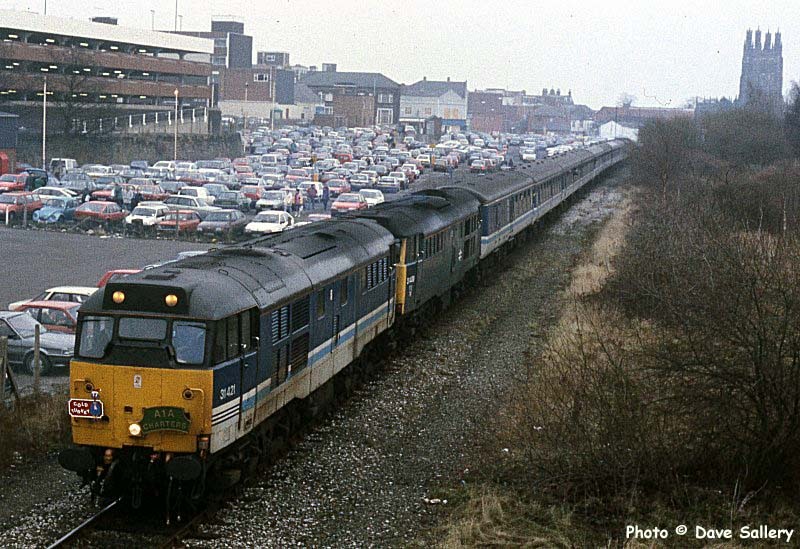 One of the very few locomotive hauled passenger trains to reach Wrexham Central was A1A Charters "Cold Turkey" rail tour on a bitterly cold and dismal 28 December 1992. Passing the site of what is now the new Central station are 31408 and 421. This excursion traversed the whole length of the line to Bidston. The entire area is now the Island Green shopping centre. Class 37 No. 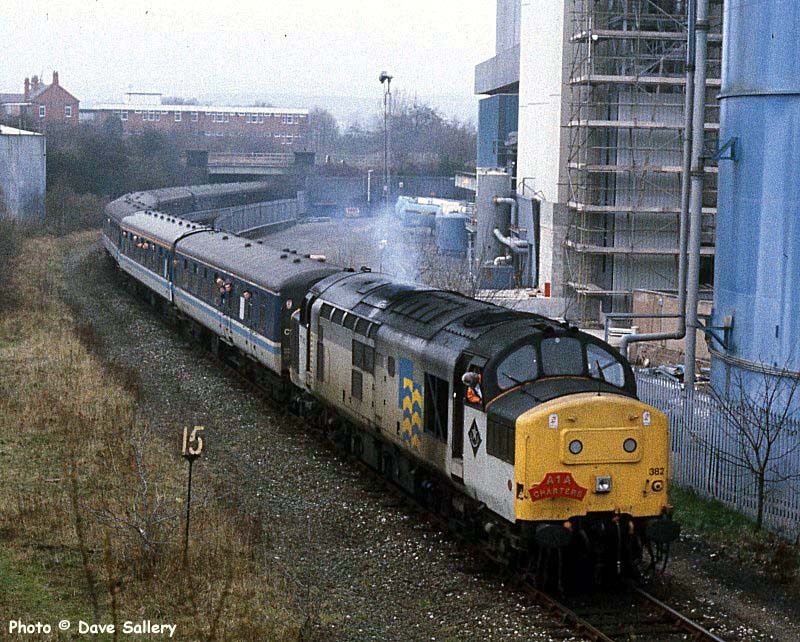 37382 is seen on the other end of the train passing the brewery. In the background can be seen the bridge carrying the ex-GWR Chester - Shrewsbury railway over the line with Wrexham Maelor hospital beyond. Wrexham Central at one time boasted four platforms and an extensive goods yard, all of which later disappeared under car parking. The same view in April 2008. The brewery has gone to be replaced by the Wrexham Central retail park and the track has been relaid. 150281 is on a service from Bidston. The impressive facade of the new station seen shortly after opening. 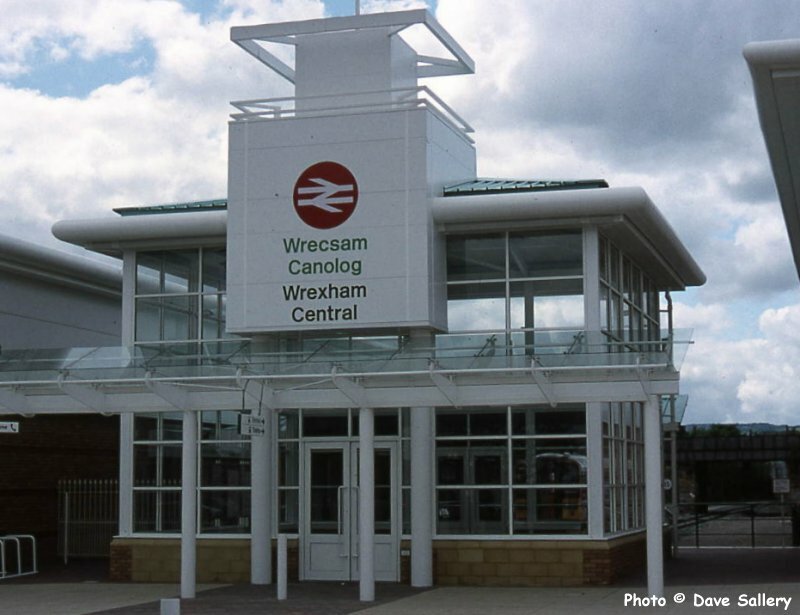 The local rail user's group objected to the resiting of Wrexham Central because of the greater walking distance from the town centre to the new station. Their objections were overruled however and the proposals went ahead. The end result is a vastly improved environment for rail user's compared to the hovel which it replaced. New station - old train. Class 101 diesel multiple unit No. 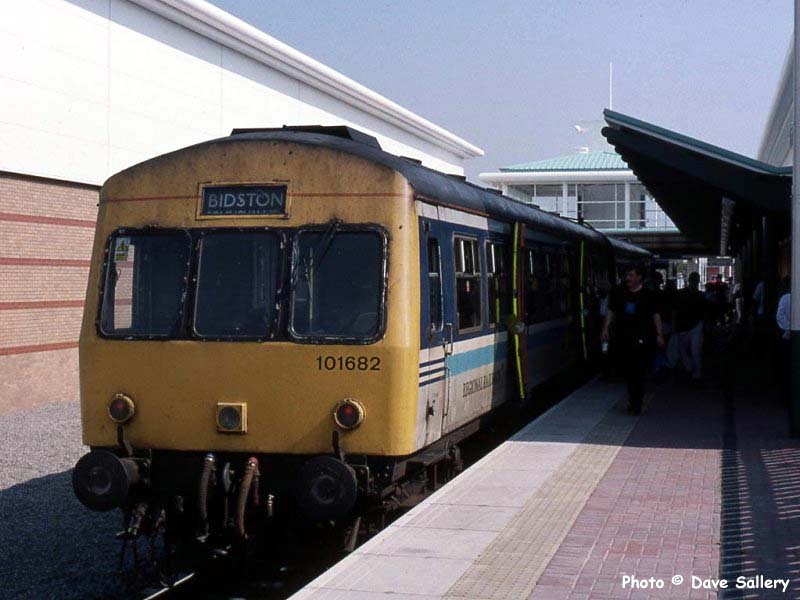 101 682 of Longsight depot, Manchester forms a Bidston service on 6 September 1999. These class 101 trains now been withdrawn after many (some would say too many) years of use. 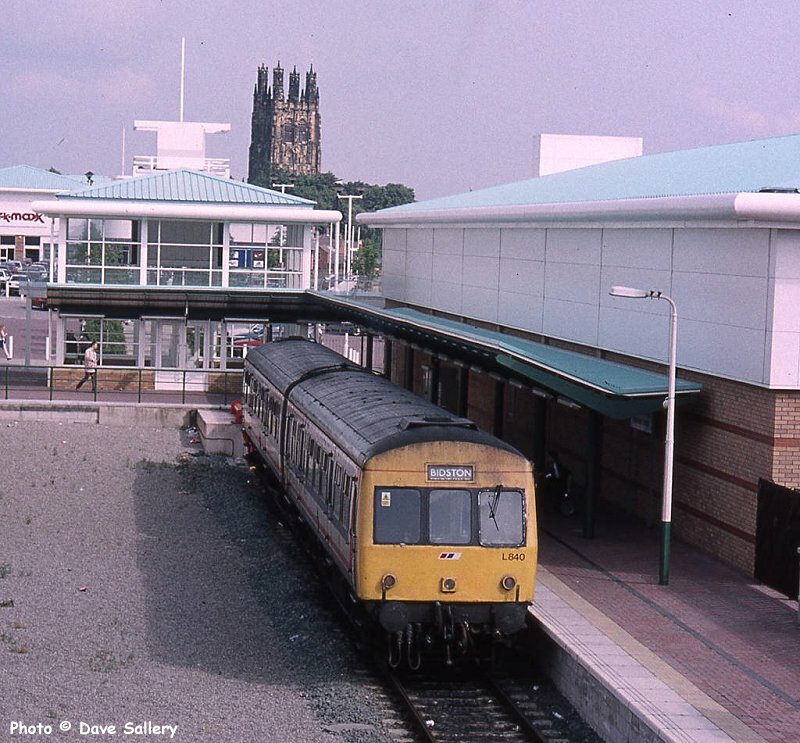 Because of the steep gradients between Wrexham and Bidston all DMU's had to be power twin sets. Class 101 set No. 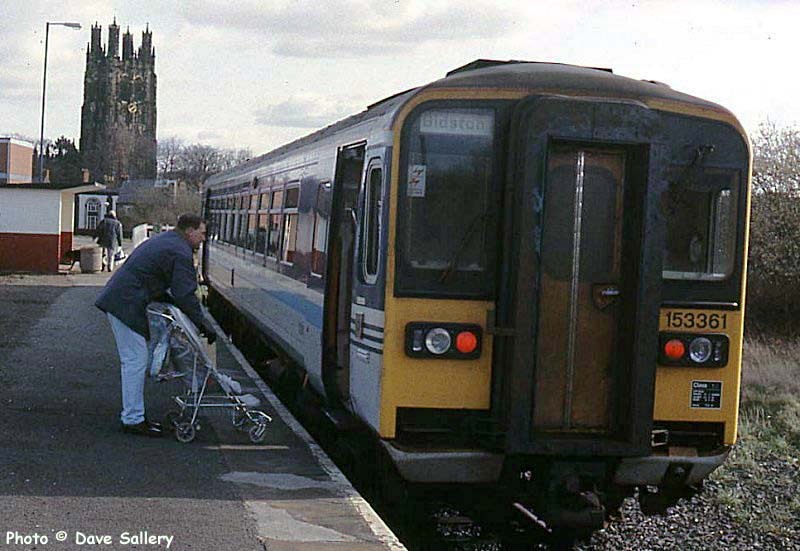 L840, in Network South East livery, is ready to leave the new Wrexham Central on July 26th 2000. The single platform at the new station is able to accommodate a 3 car unit. 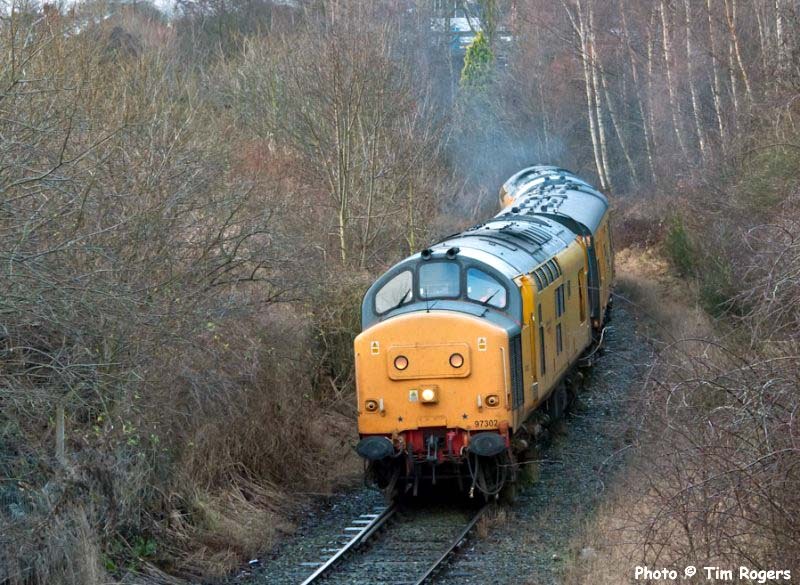 97302 + 304 on the single track section between Central and General stations, 13th January 2011.